Social networks are not only time-killers, but useful working tools as well. For example, clones of western projects regarding electronic government actively developnowadays in Russia, and social network for government officials and experts is a freestanding niche. I’ve got in touch with managers of two the most outstanding projects — Steve Ressler, CEO of GovLoop andSergey Holkin, CEO of GosBook. Russians and Americans: differences and similarities. Both platforms have been launched based on similar purposes. GovLoop.com and GosBook are both the sites, where officials and experts can exchange opinions and share the best practices. All that will let them learn from each other and be more effective in their performance. GovLoop assists officials who work on similar projects to join their efforts, whereas GosBook initially aimed to exchange information among members of Expert advisory group of Information society development council under the President of Russian Federation. However, today GosBook not only informs, but also creates intelligent data base with expert recommendations and successful cases; creates databases of experts in the fields, participates actively in expertise of developing projects. As a result, initial Web-sites start bringing ‘offline profit’. For example, current issues are solved due to GovLoop prompter and more effective. They learn daily about innovations of other similar agencies, get responses for their highly specialized questions and build cooperative and interactive relationships. One of the GovLoop.com groups– Procurement 2.0 (Purchase 2.0; Initiation 2.0) – was so active that they started to organize personal events, launched a new thought provoking Better Buy Project site, and, interestingly, started to use WIKI and new technologies. The words of Lincoln Chafee, the Governor of Rhode Island, became a compliment to this new web platform: “Using GovLoop, social network for officials, will help Rhode Island to learn from the experience of others in resolving similar issues and share the best practices of problem solving both intra- and extra- departments”. Russian GosBook has also succeeded: for example, they initiated a discussion on “Plan of high-priority measures for resolving of transport issues of Moscow city” proposed by Moscow government. All the opinions were filed and the final analysis was sent to Moscow government. 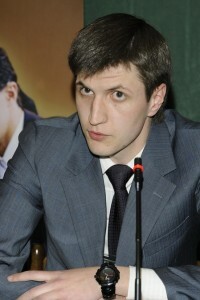 Under realization of “Concept of creating of informational system in public health service for the period until 2020” GosBook together with ECG and ADMIT (Association of Development of Medical Info Technologies) gathers recommendations for realization of regional programs of health service modernization in terms of IT implementation. The best practices of solutions implementation in medical institutions of different regions,which may be useful for representatives of the executive authorities of the Russian Federation are gathered here. Solutions and work in progress are being announced on the pages of “Public healthcare and medical service development” network. Do such projects have future? Creators of GovLoop assert that they do. This platform managed to join more than 38 000 participants all over the world, and has strong chances to expand. The global purpose of the project is conjoining the Government to improve its performance. GosBook is more moderate in its results, nevertheless, creators of the platform believe that it is necessary to develop this project with the experience of real cases and with tangible usefulness for solving of government management issues. However, electronic government will become more effective only when officials realize the necessity of such dialogue with the public. GovLoop and GosBook are similar in their ideology and practice, but exposure audience of English-speaking project is wider. 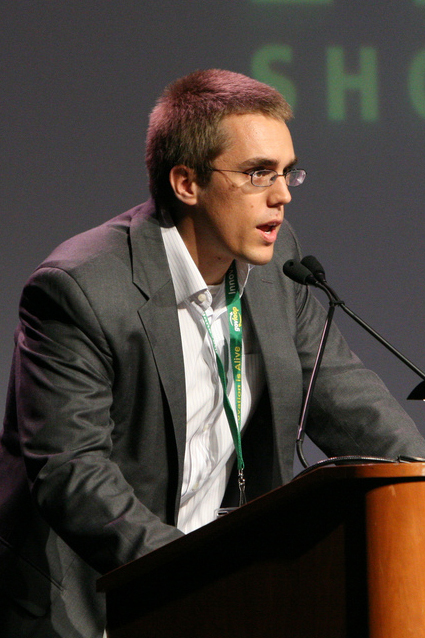 Thus, solutions concept became international, i.e. it considers positive experience and fails of the experts of many countries. The question is: Is that enough for our project to have only Russian experience? So as you might already know I’ve enrolled for State Duma elections 2011 in Russia and going to represent interests of «Fair Russia» party. This post is about the strategy I’ve put down the election campaign that is mainly based on working with social media marketing that is actively used by different politicians. I’ve decided to build my campaign, focusing on tools that I use in daily life — social media technologies. So, the key weapon here is my personal web-site that explains my participation in elections. I’ve decided to make this site as a independent platform for communication and comments in order not to confuse this political initiative and activitiy with my personal blog (alenapopova.ru / alenapopova.com that is dedicated to eGov services, women and social entrepreneurship in Russia and other countries) and to discuss in greater details my principal views on participation in elections, presenting Fair Russia party and what measures, project I’m ready to suggest. The web-site candidate.alenapopova.ru is based on three main principles: Promise — Action – Suggestion. There are no doubts that I’m kind of person that likes to set up new goals and reach significant achievements. So by now I have great and serious news to share — I’ve enrolled for upcoming elections to the State Duma in Russia., presenting «Fair Russia» party interests. As for me it sounds exciting and at the same time very challenging, but I’m ready to take all risks. And I’m willing to do my best in order to improve our legislation that would lead to positive changes in our country. What steps have I taken already? First and furemost, it is important to see myself as the first candidate for the State Duma elections that is going to represent the opinions, interests, ideas of Russian web-users. Why am I actually positioning myself in that way? The answer is concealed in the fact that firstly, while being an active blogger for a couple of years I’ve been learnt how to build relations via social media marketing and I realize that the certain differences that exist between online audience and offline users. Second reason for using Internet users as a key audience in my elections campaign is that about a half of population of the region (Novosibirsk) I’m going to present, are online users and what is more interesting this audience usually is apathetic towards politics and elections.That’s why I think it is very important to take this feature into account and election campaign strategy and consequently motivate online users to raise the voice, express their proactive positions regarding different political/social issues. And I’m sure this communication process will definitely empower voters as a separate unit and give me as a candidate a chance to represent their interests, rights, attitudes in the State Duma. Facebook Page that represents a virtual campaign hearquaters that on the one hand represents my personal insight and strivings and the same time allows different people could gather together and discuss their points of view that further could serve as a foundation for new amendments and etc. I’m going to talk about every channel in greater detail in my next post, while here I’d like to underlie that I want to be the one who encourage people to believe that together we could make real changes. But these changes would be possible only provided strongest and serious interaction with each other, open dialogue. That is why I hope that such way of online communication will lead to success and mutual public good. While I also think that the only thing that I could promise to myself is that I won’t alter my views regarding that all words should be fulfilled and proved by certain deeds and actions. Let’s do it together! If you’re interested in getting more information about my campaign, please don’t hesitate to contact me or leave your comments! 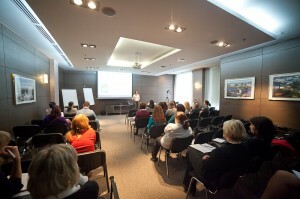 The results of panel discussion on women’s entrepreneurship in Novosibirsk. Panel discussion on “Perspectives of development of women’s entrepreneurship in Siberia” was held under StartupWomen project on October, 31 in Novosibirsk. Girls and women who run or have intention to start their own business participated in this event. Also along with me, Natalia Odegova, a business woman from Novosibirsk and a founder of “Remote assistants” project; and Alena Kotova, a member of the Board of Deputies of Tatarsk city of Novosibirsk Region and member of the Chamber of Deputies of NR were among the discussion participants. Our principal thesis was as follows: in terms of women’s unemployment elimination it is more than reasonable to encourage entrepreneurial spirit and activity of women themselves. Moreover, if big and mid-size businesses were concentrated in the hands of men after 90-s(judging from logic of historical and economical processes), then small business may become women’s fiefdom. And Internet is the fastest way to: first, to learn reply promptly the users’ requests; second, be more flexible and learn from mistakes; and third, learn how not to spend millions and have an opportunity to create a project with low financial barrier of entry. ‘Round table’ was held in a dialogue format. I spoke on Russian and worldwide practices, analysed women’s entrepreneurship in Siberia. For example, according to data of Grant Thornton company of 2008, the most of female managers in Russia are in Novosibirsk. During the survey carried out by this company, 65% of respondents stated that three and more women are among the top-management of local companies. 385 women living in the Novosibirsk region have started their own business since 2008. 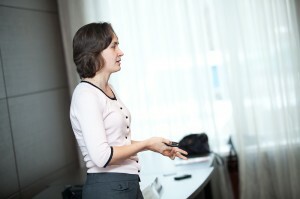 Many of them may be illustrated as successful women, for example, Tatyana Sokolnikova, Chief executive of ‘Argument” company in Tomsk; Elena Polyakova, Director of Professional development centre, author and coordinator of regional and corporate educational projects; Anna Vibornih, chief of ‘BIS-Novosibirsk’ company; or an acquaintance of mine, active person an successful business lady, Natalia Ibragimova, manager of ‘SibirskayaKopeechka’ chain. Being in Novosibirsk, we decided that all business ladies should be put in touch with each other, but how we could do that? The answer is to carry out round tables and regular discussions. What for? We want the issues to be solved and ideas to be scaled. We often find out in our sessions that two different teams in two different cities work on the same idea, moreover, they both have similar problems. So why not to solve this problems conjointly? Social entrepreneurship became an important topic for our panel discussion. There were many questions in the audience, like what that is and how to do this. We discussed the examples of successful social projects in Russia, such as Urtam.ru, it’s a boarding school for disabled children, where they are nurtured to be Paralympic champions. Another example, ‘Archangelsk professional rehabilitation centre for disabled’. Also, there is a chain of recreation centres ‘Baby-life’ in Perm. The audience was concerned by the issue of how to create a web project that could let women earn money being at home with children, and also how to help with employment of those categories of citizens who are unemployed now. Moreover, how to educate them and improve their performance, which could reduce costs of their the client companies. Natalia Odegova, the founder of ‘Remote assistants’ project, shared her experience and spoke on solutions she offered. Natalia created her project when she was in maternity leave. The results can be already seen. Overall, summing up the results of the event carried out, we decided to put on our web-site www.startupwomen.ru the schedule of meetings, panel discussions and teleconferences that are going to be carried out regularly in Novosibirsk and other cities. 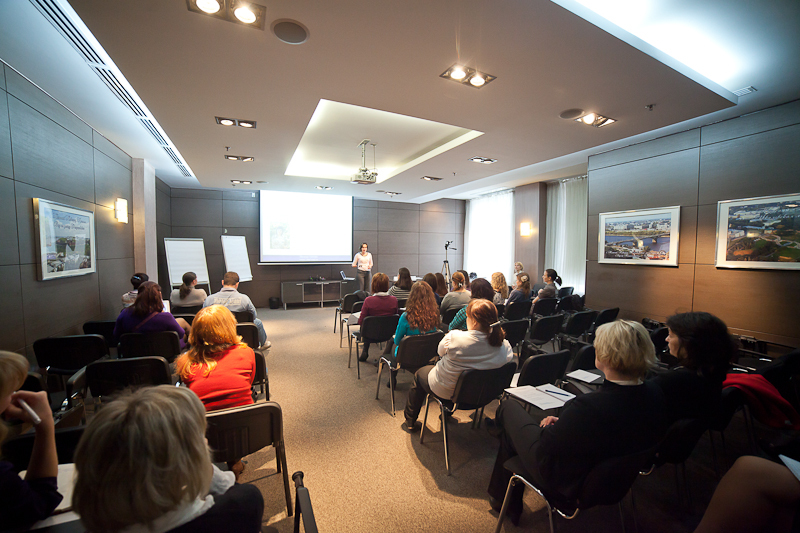 Our aim is to help Siberian business women with projects implementation. Among the plans of Startup Women now is designing of e-business educational program for women, they could participate in on attractive terms, and increasing of number of meetings with successful business ladies for experience interchange and issues discussion. A number of serious competitions among developers that are aimed to implement new eGov services or projects that could be further used by authorities or other specialized companies have been conducted recently in almost every Western country. Developers in turn could derive a variety of benefits starting from free educational or qualification programme to more profitable — money prize. Personally I was interested in these kind of contests and has always wanted to do something similar in Russia. Once it is proclaimed it should be done later on. 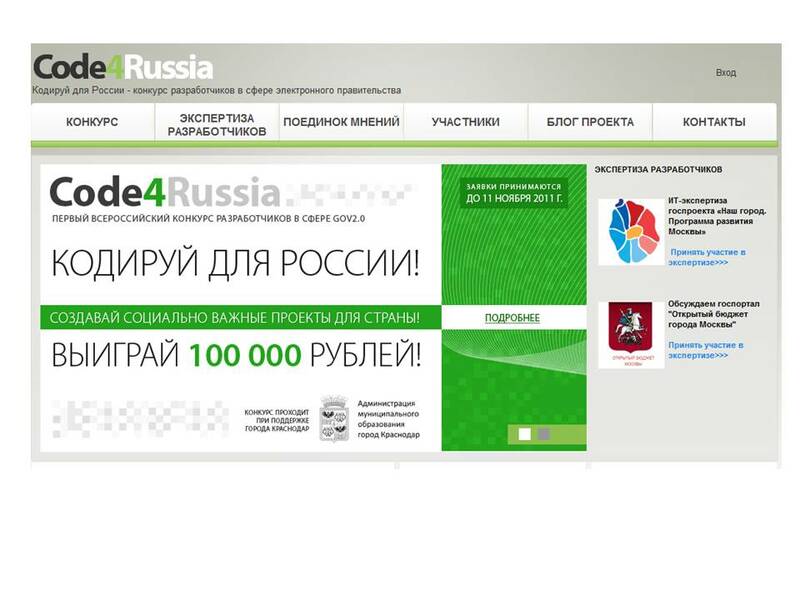 So, now I’m very pleased to announce the launch of our new eGov intiative — Code4Russia that represents a separate but connected eGov iniative that works under Gov2People project that as far as you might know considers all existed eGov services in Russia and reviews international practices that could be used in Russian virtual reality. So now let’s speak about every project in detail and perspective, what distincive features they have and what further opportunities they provide. Developers expertise is the first project of that kind in Russia that can be seen as an expert’s crowdsource model that is made to encourage best IT-specialists of e-govermeent project and services to leave comments and feedback. The main difference between developers and consumers of eGov services that IT-experts are more likely to share its constructive professional view on what has been done wrong by government and what can be done to improve this or that feature. Women investements in Russia: why not? Women presence and activity as investors is extensively growing from year to year all around the world. There is a substancial number of well-known investement funds founded and made for women (Pipeline Fund, Criterion Ventures), as well as companies provided financial women consulting (AWAI — Association of Women in Alternative Investing, Generator for Women) in the USA and the UK. The Pipeline Fellowship trains women philanthropists to become angel investors through education, mentoring, and practice. Fellows commit to invest in a woman-led for-profit social venture at the end of the training. This fund aims to diversify the investor pool and connect women social entrepreneurs with investors who get them. International company Criterion Ventures has lauched its “search community” and women who are interested in investments are welcome to join it, after a while an appropirate project would be matched with women’s preferences and objectives and found out. Besides this service supports not only social entrepreneurship projetcs, but also perspective resources that are going to be successful investement in the future. Those women who have already invested in such projects are integrated into Association of Women in Alternative Investing, where they share experience with each other. The expert committee consists of the most talented and professional investors with a long-term experience. I think that I that the role of Aileen Lee or Andrea Zurek is remarkable and significant without any doubt. 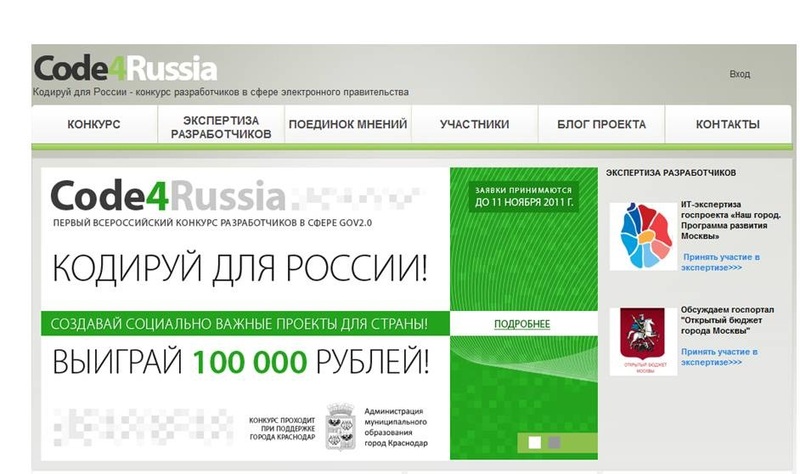 What hindres Russian entrepreneurs to become active investors? One of the key reasons for that is a simple absense of knowledge. The widespread question is where am I going to invest my money — to unit fund? to stocks with return on investments? to real estate? Unfortunately by now we don’t have a functional fulfilled infrastructure for women investment education in Russia. Unlike western societies where lots of communities are organized based on these needs and challenges, we can’t do the same in Russia as there is no investment culture and moreover, no one considers women as a substancial group of potential investors. Traditionally it is well-practiced that men are more responsible and capable to think of where to invest money. However, we’ve decided to go further and within framework of Startup Women project we’re going to develop and promote Women Investment Fund, where women could gain knowledge about ventures investments that would provide them a foundation for future opportunities to become a successful business-angel. Why do we rely on this idea? It’s typical for a woman to listen to her soul, to make choice accoring to her the sixth sense and what’s more that this intuitive decision that we usually make is the most correct and bears its fruits, leads to positive outcome in long-term period. It’s not a surprise for anyone that a number of female users on Web are growing day by day: women are considered to be the most important audience online across the world. They make many if not most household purchase decisions and are generally more responsible for word of mouth and social network sharing than men. There is no doubt in the fact that women are more integrated in social media life than men as they’re more interested in sharing and exchanging the information with each other concerning its feelings, occasions, news, products, brands and etc. Comscore says women are the majority of users of social networking sites and spend 30% more time on these sites than men. Aileen Lee shares her vision and latest figures on presence and female users’ activities they undertake in Web. 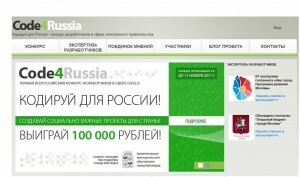 Russian female audience is also taking over web-spaces and already exceeds male audience. According to the latest marketing research conducted by RUmetrika, a number of female users has doubled for the last two years, while the female audience of glossy-online sites has increased up to 85% for the last year, and up 11% — for the last half-year. Besides it’s also well-researched that female’s online purchasing behavior has its significant differences from male’s intentions as we use Internet in our own way and can afford to make spontaneous purchases or simply perceive online-shopping is a kind of entertainment and the most interesting online-activity. According to the same research women are keen on buying online books, cosmetics, apparel and kid’s clothes. A fresh version of StarLook is an updated service of online shopping community that accumulates all latest glamorous fashion trends, brands and responds to emerged women requirements and needs that they might have faced during a usual online-shopping process. As mostly women are interested in online-activities due to the possibilities it offers for communication we offer them to feel free and to be integrated into a variety of activities: starting from searching what other users or experts say about a particular apparel brand or other item to creating the content about this brand, including fashion looks for various occasions (that we call sets, video content and blog posts). Thus, such communication is an efficient tool for fashion and beauty brands to trace what was written, what kind of brand image and associations do consumers have in mind about these brands. It’s the easiest and effective approach for brands to work directly with female consumers and respond to emerging challenges or requests. Super Russian Viral Video case initiated by region’s governor. Big city life has its pros and cons. And Moscow isn’t only the capital of Russia but also a megapolis that has a lot of things to offer, especially with regard to making money. As you can understand this trend incites that more and more people leave hometowns and thus, regions looses its valuable workforce. The video «Rodnopolisy» that can be translated as Hometowns is a great example that appeals to young people and promotes those little cities and towns which people leave for better (or not???) life in Moscow. I liked the idea itself and the way it is done. Nikita Belikh — one of the most popular Russian eOfficial and governor of Kirovskiy region — also took part in this video and agreed to give us some comments. Whose idea was idea to shoot such a video? Such announcement was made by Robert Shlegel’ – Member of Information Policy Chamber — who also proclaimed that a new means of providing the feedback would be firstly, tested on the web-site of the chamber and only after that on the State Duma website. Boris Grizlov, a current speaker of Russian’s State Duma considers that such initiate allows attracting a sufficient number of experts to the discussion process that would positively affect the quality of legislations. “We’re looking for public discussions and polls on federal, regional and local levels”, — the speaker stated. Lately more and more government organizations and ministries have been established contacts with ordinary people via Web 2.0. Public audience has already criticized “Police” and “Education” bills, although experts admit that authorities hardly took into account people’s opinions and voice.